World Of Warcraft evolves with every new expansion and this tendency doesn’t change in the newest one – Legion. 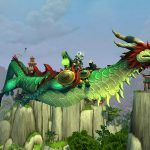 Ion Hazzikostas, the designer of WoW Legion, says that players will have an ability to use their flying mounts to explore new zones and travel. The ability to fly will be given to those players, who will earn a special achievement, Hazzikostas said in a live developer chat. This achievement will be introduced in Patch 7.0 that will arrive before WoW Legion’s launch. Of course, you will not be able to make anything before the World of Warcraft Legion release but you will know the requirements and can prepare for that. 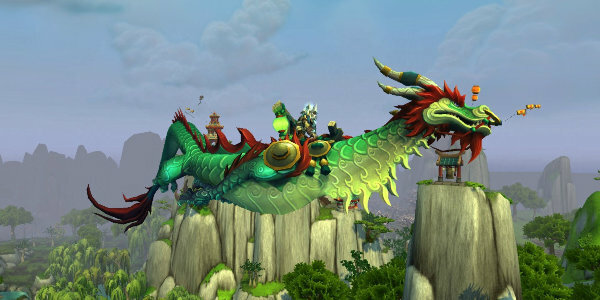 Flying mounts appeared in the first expansion, Burning Cascade, but current expansion Warlords of Draenor did not have that option and not allowed flying mounts at all. This decision was made, regarding the Hazzikostas, because flying made the outdoor exploration less adventurous: “The world feels larger, feels more dangerous. There’s more room for exploration, for secrets, for discovery and overall immersion in the world”. These changes left many World of Warcraft players disappointed as they spent their time and money to collect them. So Blizzard rethought their plans and now we will have flying mounts back in the game. In World of Warcraft Legion you will be sent to the new continent, Broken Isles, to stop evil invasion. New Demon Hunter class will be introduced as well as the updated Honor system, new section of PvP options and bonuses. Moreover, everyone, who purchases the World of Warcraft Legion installment, will get a free level 100 boost for one selected character.